Do You Need Medicaid Assistance or Help From a New Jersey Medicaid Attorney? Need Assistance With NJ Medicaid? Some people can file a Medicaid application on their own. Others cannot or should not because of legal and/or other issues they are not even aware of. I have prepared a test to determine whether or not professional assistance is needed in preparing and filing a New Jersey Medicaid Application. Read each question slowly and carefully and be as honest in your answers as possible. Do I know the location of the Medicaid office where the application must be filed? Am I familiar with all of the documentation that must accompany the filing of a Medicaid Application? Am I familiar with the Medicaid laws regarding spend down and do I have sufficient documentation to prove that the spend down in this case was proper? Am I familiar with the NJ Medicaid law regarding transfers of assets? Do I have sufficient documentation to support the fact that the transfer of assets were properly done? Do I have the 30-40+ hours that it is estimated that preparing and filing a Medicaid Application will take? If the New Jersey Medicaid eligibility worker asks questions, do I understand the process sufficiently to give the answers, which will not hurt me or the Medicaid Applicant? Do I know what pre-admission screening is and how it applies to filing a Medicaid application? If the Medicaid Application is rejected, am I familiar with the rules for filing for a Fair Hearing? If the NJ Medicaid Application is not rejected but not approved, am I familiar with my rights and the procedures for obtaining prompt action? Do I know how to deal with the nursing home or other facility while they are not being paid during the pendency of the Medicaid Application and do I know how much I must pay them every month until Medicaid is approved? 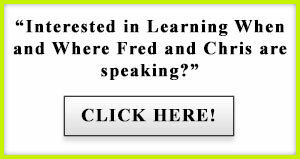 I am happy to refer the many families I work with daily to Fred Niemann. He is extremely detailed and able to handle all the aspects of elder law that most families need assistance with. Many of the families will make a point of thanking me for referring them to Fred and are able to refer him to others as well. Therefore, I recommend his services highly to anyone seeking a lawyer with integrity, knowledge of his trade and a good reputation. fniemann@hnlawfirm.com to set up an office consultation at your convenience.